In 1982, SMH (makers of the Swatch brand of watches) saw potential to apply the precision and strategy used to popularize Swatch watches to develop a small stylish city car, a formerly untapped market in the automotive industry. At the same time, a design team at Mercedes-Benz was tasked with exploring the idea for a car that could navigate the limitations of urban mobility. SMH joined forces with Mercedes-Benz, and the smart branding reflects this collaboration: Swatch Mercedes ART. Their combined expertise led to production of the first smart car in 1994. 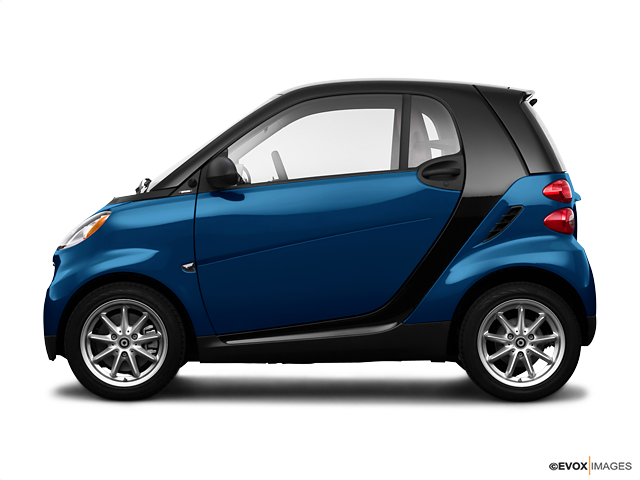 The first smart car was an innovative breakthrough in the automobile industry. Extremely compact, just over 8 feet long and 5 feet wide, the vehicle still maintained safety features on par with more traditional sedans. Today, the smart fortwo is marketed world-wide and over 1.7 million vehicles have been sold. The fortwo was added to the New York Museum of Modern Art (MoMa) collection in 2002. The smart fortwo shows a commitment to stylish, agile design in conjunction with an efficient use of space. The design team in Germany continues to think up creative solutions to maximize the vehicle’s spaciousness and storage potential with clever hidden compartments and innovative features. The fortwo’s compact composition makes it a sustainable alternative to its market competitors. The fortwo has received significant recognition for its fuel efficiency and low carbon dioxide emissions, and the smart brand represents an eco-friendly gold standard in the industry. Since its beginnings, the smart brand has sought to represent real drivers. Their designs work to incorporate practical components relevant to city driving without sacrificing artistic elements. The smart fortwo is the car of the future with its efficiency and unparalleled functionality. Explore our range of smart cars online today.